With the Winter Meetings set to begin in Orlando on Monday, Ruben Amaro Jr. and the Phillies are looking to add some depth to the starting rotation. The club was in on free agent starters Scott Feldman and Ryan Vogelsong, but both received more lucrative offers elsewhere. Matt Garza and Ervin Santana are two names drawing interest, but both are looking for contracts in the five-year, $100 million neighborhood and that's traditionally a no-go for Amaro and the Phillies. "We will pursue plenty of things," Amaro said last week. "We have spoken with several people already and plan to meet with some [in Orlando during the Winter Meetings]. We will be aggressive and creative, but also we have to be smart." One American League executive believes the Phillies and Tampa Bay have been trying to hammer out a swap involving starter David Price for outfielder Domonic Brown, but the Rays also want Jesse Biddle in the deal and that's slowed talks. In addition to Brown, multiple sources believe the Phillies will shop Jonathan Papelbon during the Winter Meetings. The 33-year-old still has two years remaining on his current deal and is owed $26 million, plus he has a limited no-trade clause. Unless the Phillies pick up a a sizable portion of Papelbon's remaining contract to make a potential deal appealing to another club, it's unlikely he's dealt anytime soon. - The Philadelphia Baseball Review is the top baseball news blog in Philadelphia, providing news coverage and analysis of the 2014 Phillies. 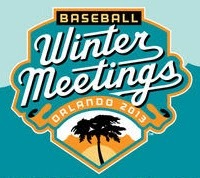 All week we'll have news, rumors, and analysis from the Winter Meetings in Orlando.